We have moved to West Chester! Now located at 1275 Wilmington Pike. A MINI is a unique type of vehicle. And no one understands it quite like a MINI certified technician. Have Otto's MINI service your vehicle today and get you back on the road. 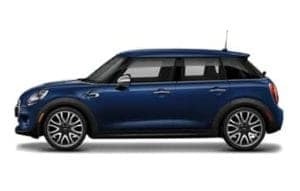 Looking for a great deal on a new MINI? Welcome to Otto's MINI in West Chester serving Eastern Pennsylvania MINI shoppers. We are eager to work with you to get you into a new or used MINI that will meet your needs. We know that you have high expectations, and so do we. We take pride in providing exceptional personalized service. Stop by our showroom to experience what it’s like to be behind the wheel of your favorite MINI. Please feel free to contact us anytime you have questions. Otto's MINI is your West Chester and Exton MINI new and used car dealer. Otto's MINI is your West Chester, Exton, and Downingtown MINI new and used car dealer. We are located between I-76 and Highway 30 at 1275 Wilmington Pike in West Chester, PA. We are right off 202/ Wilmington Pike in West Chester. We are proud to serve all MINI shoppers in Eastern Pennsylvania. Browse our inventory online or stop by for a no hassle showing and test-drive. 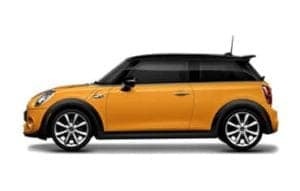 We invite you down to take a look at our excellent inventory of new and used MINI. See our hours and direction when you plan your visit. We are your local West Chester, Exton, and Downingtown MINI dealership. We are your Eastern Pennsylvania MINI dealer in West Chester. It’s our job to help you find the new MINI or used car that best fits your needs. Come into our dealership today, serving Eastern Pennsylvania used car customers, and let us know what you’re looking for. Check out our used MINI Cars and MINI Next certified pre-owned vehicle inventory as well. With such a great selection of cars, we are sure you will find the right one for you! 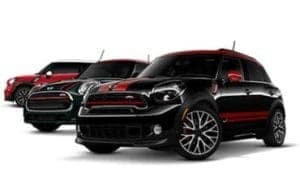 Pennsylvania’s MINI New Car Dealer is Otto's MINI in West Chester, PA. Our sales staff will help you customize and order a new MINI made to your specifications. Take a look at the cars we currently have in stock. 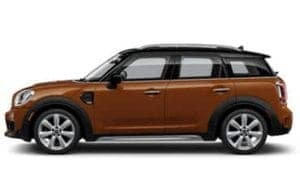 Check out the new MINI Countryman, the first four-door MINI available. The MINI Countryman S ALL4 all-wheel drive is perfect for all four seasons of motoring. 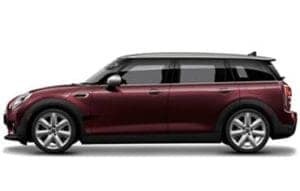 Or try the MINI Clubman, who’s added passenger space and pavement prowling handling make it a top performer in the MINI line-up. 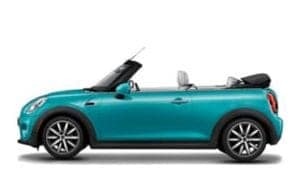 Though during the hot months of summer, the MINI Convertible is the perfect way to go! There is always the original MINI Hardtop with its classic style so many motorists have come to identify with. Otto's MINI is proud to serve all West Chester MINI Cooper enthusiasts. Otto's MINI in West Chester, PA has all of the MINI financing, service, parts, and accessories you need. Are you looking at financing your new or used car? At Otto's MINI, our MINI Motoring Advisors are here to help you find the right financing that will fit your budget. We also offer a great selection of MINI accessories for you and your car. After your purchase, we have all of the service and parts to keep your car on the road. At Otto's MINI, we have a variety of ways to keep your new or used car running at peak performance. Our West Chester MINI service center is top notch! Having maintenance work performed by factory trained technicians, using OEM MINI parts, brings extra peace of mind every time your drive your new or used vehicle. Call us today to set up an appointment at 610-455-2840.